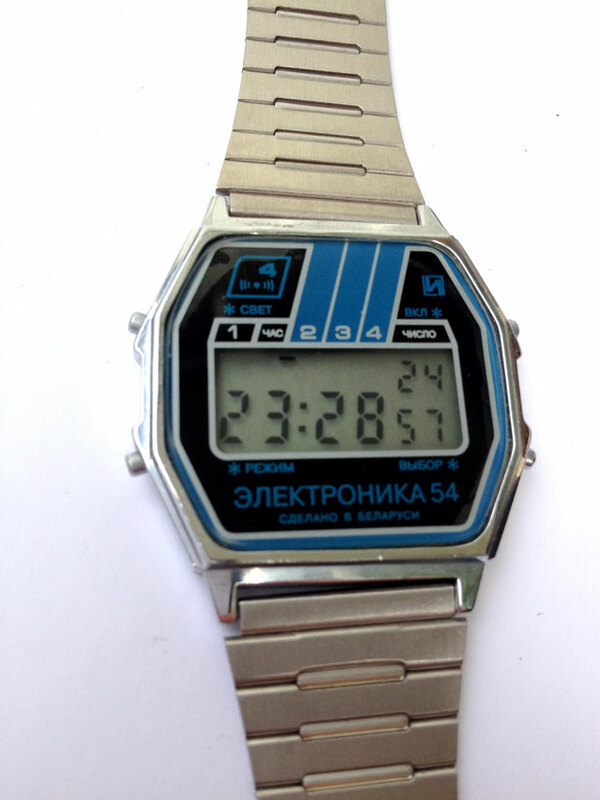 This is the second of the two Russian LCD watches at the site right now. Wee bit more subtle than the other one, wee bit sportier looking maybe. Still very retro, and very cool. Goes well with almost anything in your wardrobe this watch. 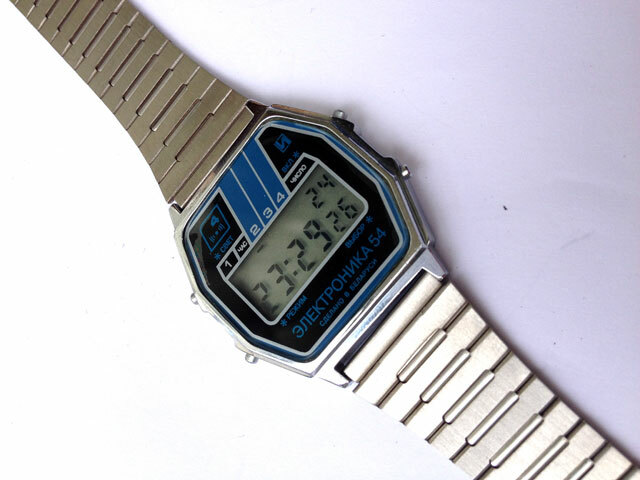 This is the second of the two Russian LCD watches that I am liking right now. 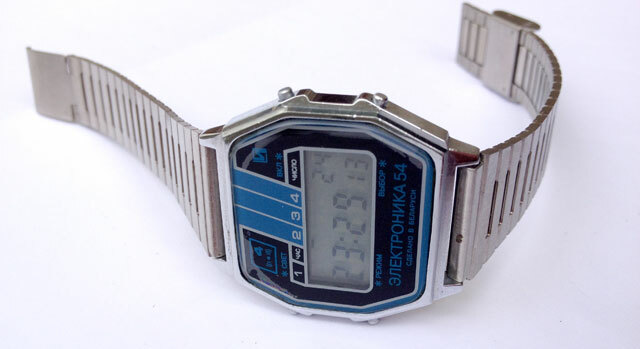 I suggest you learn a few lines of Russian, buy this watch, and then go around town pretending you’re a Russian gigolo / spy. Great fun! Unless of course you actually ARE Russian and reading this. 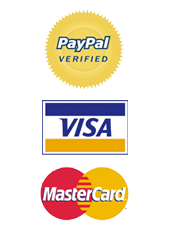 In which case I think you should just buy the watch and stop procrastinating. Сделайте это сейчас!